The gorgeous Rosie HW has long been working with M&S to create luxury undies (we own quite a few of her silk knickers!) 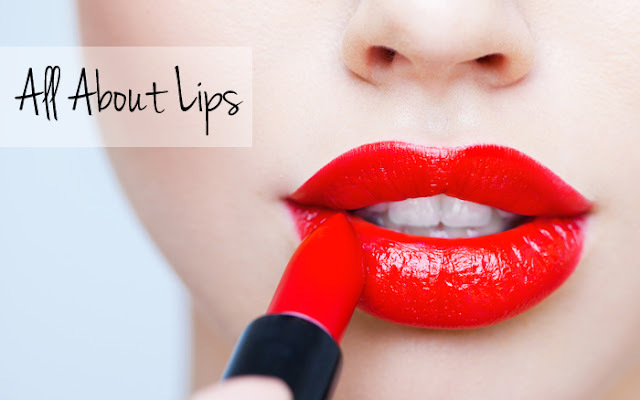 – but now, our English rose has brought out a beautiful new make-up range too! And, it’s just as fancy as her lingerie! Rosie for Autograph’s new make-up line is simply put – beautiful! Ok, we wouldn’t really expect anything less would we? 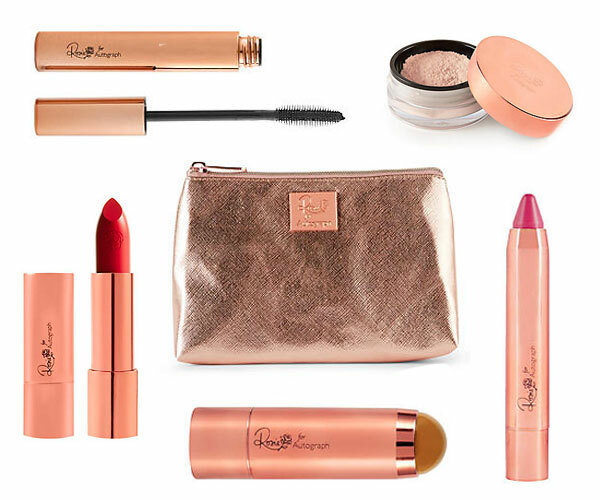 It’s all rose gold and coppery hues and evokes that timeless bombshell look Rosie is well-known and loved for. The packaging is oh so very pretty as well. It’s got that vintage glam feel – if you ask us. The range is available to buy now from M&S online and in selected stores. 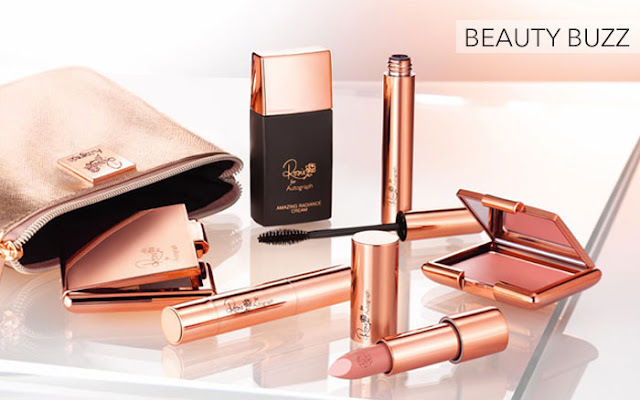 The collection sees luxury moisturising lipsticks, lip pencils, rich black mascaras, powders and blushers as well as a glamorous rose gold makeup bag. In terms of the price, the range has been introduced as a premium line, so expect to pay around £14 for a lipstick and £18 for a finishing powder. But, M&S are well-known for their generous offers – so keep your eyes peeled it may appear in a 3 for 2 offer, one day (we’ve got our fingers crossed!). We love Rosie’s Autograph perfume – it’s one of our favourites, so, although we are yet to get our hands on this rose gold collection of makeup goodness, we’re expecting big things! Have you tried the range? We’d love to know if you have in the comments below.